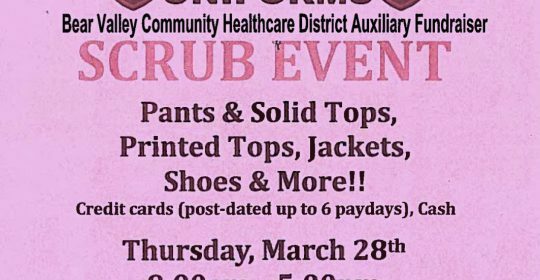 The BVCHD Auxiliary will be putting on a Scrub Event Fundraiser! On March 29th at Summit Christian Fellowship from 9am to 5pm, they will be selling professional scrubs from manufactures such as Reef, Asics, Stockwell+, Med Couture and MANY more! If you or someone you know is in need of new scrubs, please come shop for a cause!